Jetting straight from Sun 'n Fun, we were able to arrive at Aero Friedrichshafen by noon on opening day. A quick swing around the most light-aircraft-filled halls (the "B" halls) brought some fresh surprises. Following are a few designs that caught my eye on an initial pass. 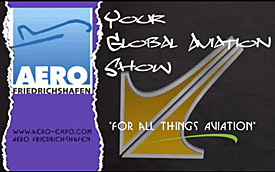 The profusion of light aircraft we don't see in the USA — some of which will never reach the market — is one of the main reasons Aero Friedrichshafen is my favorite show in Europe. This mostly indoor fair (as Europeans call such shows) always has many ideas of interest. Zlin Ultra with Rotax 915iS — Never one to rest Pascale Russo reintroduced his Ultra Shock from last Aero with the more powerful Rotax 915iS. 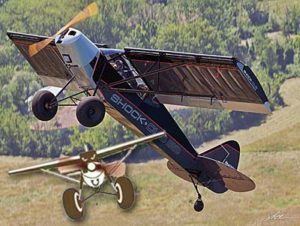 Ultra Shock plays on the term "ultralight," which means something different in Europe than in the USA (it is a reference to light aircraft quite similar to Light-Sport Aircraft). The use of the term implied a lighter, leaner version of the Shock Cub — renamed Outback Shock in the USA because "Cub" is owned by CubCrafters. Potency is has been increased in the revised Ultra Shock by using the newest and most powerful engine from Rotax, the Austrian company's 915iS. Delivering 135-140 horsepower, the lightened Ultra Shock has become nearly as awesome as the 180 horsepower Titan-powered Shock Cub/Outback Shock. The two likely perform very similarly because the Rotax powerplant is lighter than the Titan even before considering airframe lightening. Flight Design All-New F-Series — You may feel you have not have seen as much of Flight Design since their reorganization but they've assembled an impressive team to make a new family of models titled F2–F2e–F4. Briefly, F2 is a larger, significantly changed follow-on to their CT-series that has sold so well around the world. That series will continue along with entries like CT Super, the "entry-level" model. CTLSi will be in the middle with F2 representing the top-of-the-line A new team of engineering, manufacturing, and flight personnel have dedicated themselves to this and other projects under the corporate umbrella of Lift Air. F2 has many changes, among them losing the stubby appearance (to some eyes) of the CT series. It also addresses the older population that buys new LSA, with doors that are at once wider, taller, and lower, easing entry even more; it was always a turn-around-and-sit proposition. Another literally large change is cabin size. F2 has a voluminous area aft of the two seats; you can carry a lot of payload in this aircraft, weight and balance considered. However, in mentioning this cabin volume, I can segue to F4, the company's planned four-seater project. This is not to replace the company's earlier C4 four seater based on the CT series. The middle number F2e is a reference to an electric propulsion model to follow but reviewed at Aero 2019. Belmont Aero DW200 — With its distinctive canopy slid forward as seen in the nearby photo, this design may not look obviously like its design heritage, but close that canopy and you can easily see the similarity to SportCruiser. 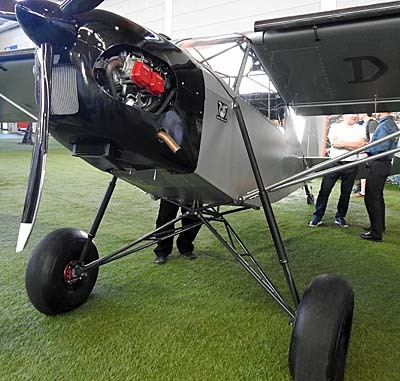 That design, first brought to market by the former Czech Aircraft Works, founded by longtime entrepreneur Chip Erwin, has spawned other variations including the current company, Czech Sport Aircraft, that once labeled the model as PiperSport. Another is the very successful Bristell aircraft from BRM Aero although this entry has highly refined many aspects of the design because its creator, Milan Bristela, was associated with the airframe since the very beginning; he and I first met back in 2003 when he was employed at Czech Aircraft Works. As does Bristell, Belmont is available in a retractable version, which is permitted by European regulations. Belmont is using a variety of equipment suppliers. Rotax is the preferred engine but the company also offers the UL Power 350is. The Latvian business, with production in the Czech Republic, offers a wide variety of propellers and other equipment for purchase consideration. Beringer Everywhere — It seems anywhere you look you see Beringer's signature orange finish to their beautiful hardware. That was true at Sun 'n Fun last week and it is even more common this week at Aero Friedrichshafen. The French company is enjoying a strong acceptance for their high quality products. 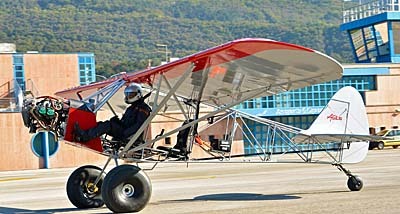 While their wheels and brakes comprise the main thrust Beringer has made into aviation, they also produce a tailwheel option and now a unique shock absorber offering seen nearby fitted to a weight shift trike. From their days in performance equipment for ground-based vehicles, Beringer moved strongly into aviation products and they have done so well — received warmly by many airframe producers — that a couple years ago, they left the auto business and are now focused entirely on aviation. They established a strong U.S. presence and have a base in Greenville, South Carolina (864-214-4274). Jetting straight from Sun ‘n Fun, we were able to arrive at Aero Friedrichshafen by noon on opening day. A quick swing around the most light-aircraft-filled halls (the “B” halls) brought some fresh surprises. Following are a few designs that caught my eye on an initial pass. 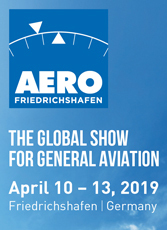 The profusion of light aircraft we don’t see in the USA — some of which will never reach the market — is one of the main reasons Aero Friedrichshafen is my favorite show in Europe. This mostly indoor fair (as Europeans call such shows) always has many ideas of interest. Zlin Ultra with Rotax 915iS — Never one to rest Pascale Russo reintroduced his Ultra Shock from last Aero with the more powerful Rotax 915iS. Ultra Shock plays on the term “ultralight,” which means something different in Europe than in the USA (it is a reference to light aircraft quite similar to Light-Sport Aircraft). After Aero 2016, we enthusiastically reported on the Zlin Shock Outback (as it is known to Americans; Shock Cub to other countries). You could fairly call it Europe's answer to Just Aircraft's jaw-dropping SuperSTOL, the amazing performer that captures nearly everyone's attention from its introduction until today. Both designs go far beyond the best-selling Special LSA in the country: CubCrafters' CarbonCub.With the original Shock Outback's awesomely powerful Continental Titan X-340 producing 180 horsepower, pilots had a shock-and-awe response to the short takeoff roll and homesick-angel climb performance. The aircraft truly inspired many.How could Zlin go one better on this fascinating design? In a word: lighter.Admittedly, Shock Outback, sold in America by SportairUSA — with the big engine and all the other (sometimes optional) fixings such as their slatted wing, long-stroke landing gear, giant Alaskan tires — is an aircraft about as large as it could be and still fit in the LSA category. While a thing to admire, it didn't address every desire. The big-engined Shock was a bit heavy for then-current European regulations and many pilots have learned to prize lighter weight. Zlin principal and designer Pascale Russo (in video below), is another of the sleep-deprived creators of cool aircraft. He saw another unfilled niche, and since nature abhors a vacuum, Pascale got busy with a new model. Welcome to Ultra Shock, unveiled at this years wonderful Aero Friedrichshafen show.After having constructed, sold, and delivered many sport aircraft around the world over the last 18 years, including "hundreds" of Savage aircraft, Russo was ready with his new idea in surprisingly short order.He said that speaking to pilots "led us to design a (European-style) Ultralight version of our Shock Cub." He said it was "a Shock Cub in all respects but more lightweight. "Most pilots know it is quite challenging to lessen the weight of aircraft. How did he do it? First, here's what remains: “double slotted” flaps (70% bigger than earlier Savage Cub models), the custom-made micro vortex generators installed inside the flap vane, larger ailerons (40% bigger than older models). These features were part of the reason for "dramatically increase the efficiency of the wing at very low speed." Ultra Shock also retain its strength. "We loaded and drop tested [Ultra Shock] up to 1,000 kilograms (2,200 pounds) from 120 centimeters (about 4 feet) above the ground without any damage." That may not sound like such a high drop height but I've seen test reports and can attest that is a very demanding test, especially at such weight. The design "virtually eliminates the touchdown rebound," Pascale said. "We proceeded from the original Savage Cub-S," Pascale continued, "reinforcing and refining the fuselage framework, increasing … the cockpit height, improving the accessibility, and generally improving ergonomics on board." In other words, he made sure larger pilots will fit well. Despite Ultra Shock's lighter weight design, Zlin said the “engine bay can accommodate different engines from the standard Rotax 912 ULS (100 horsepower) up to the Rotax 914 (115 horsepower), new Rotax 915 (>135 horsepower), and even the Titan 340 Stroker (180 horsepower).In doing all this, Pascale asked, "Why go fast? It's so much more fun to fly slow and land short." Indeed, he made sure Ultra Shock hits these fun flying goals (see specifications below). "We asked ourselves how much weight it would be possible to save, while maintaining the cost of the transformation at a reasonable level,” recalled Russo. He also wondered "to what extent the excellent performance of the Shock Cub would be affected." He managed to reach a targeted and demonstrated minimum empty weight — an impressively slim 649 pounds — with a 100 horsepower Rotax 912 with radio and basic instrumentation and a weight savings program which introduced carbon fiber elements, light weight battery, and Oratex fabric covering (a weight-saving material with already colored cloth) in place of classic heat-shrink Dacron, among other choices.It appears he succeeded well. Ultra Shock is significantly lighter than most of the other Cub-clones, which should translate to great performance with the Rotax 912 and reduced overall expense. Zlin is targeting €95,000 (about $115,000) for a well-equipped Ultra Shock but for U.S. pricing and availability, please contact SportairUSA. Whatever the final price tag for your chosen options, it is dramatically less than a CarbonCub (that commonly exceeds $200,000, according to many buyers). After Aero 2016, we enthusiastically reported on the Zlin Shock Outback (as it is known to Americans; Shock Cub to other countries). You could fairly call it Europe’s answer to Just Aircraft’s jaw-dropping SuperSTOL, the amazing performer that captures nearly everyone’s attention from its introduction until today. Both designs go far beyond the best-selling Special LSA in the country: CubCrafters’ CarbonCub.With the original Shock Outback’s awesomely powerful Continental Titan X-340 producing 180 horsepower, pilots had a shock-and-awe response to the short takeoff roll and homesick-angel climb performance. The aircraft truly inspired many.How could Zlin go one better on this fascinating design? In a word: lighter.Admittedly, Shock Outback, sold in America by SportairUSA — with the big engine and all the other (sometimes optional) fixings such as their slatted wing, long-stroke landing gear, giant Alaskan tires — is an aircraft about as large as it could be and still fit in the LSA category. Once upon a time, the producer of a yellow LSA taildragger installed the industry's most powerful engine resulting in a performance leader. This gambit succeeded handily and the builder enjoyed several strong years of sales. Others looked upon this success and saw that it was good. So, of course, being aviation entrepreneurs, others worked to do the original one better. How about not only an excess of power but other features and macho good looks to cause jaw-drops at every airshow? You may believe I am writing about Just Aircraft and their magnificent SuperSTOL. I've enjoyed flying this aircraft and you can research it further here. Adding exceptional wing qualities to a potent engine results in a sub-market within the LSA sector that has been drawing strong interest and the sales that follow. With newcomers offering appealing features and reducing the price into more affordable realms, it's not hard to see why pilots are learning about these new flying machines and bringing one home. Into the cauldron of development activity stepped Zlin and their Shock model. This Czech-based company is no newcomer. You already know their Savage models, reported here frequently as the former iCub and later the Outback and Nomad plus the one-of-a-kind Bobber. With advice and suggestions from SportairUSA proprietor Bill Canino — himself already a highly skilled veteran of the SP/LSA movement — Zlin took the model SportairUSA sells as the Outback and added what Bill calls "the Shock options." He words it that way because these fresh features can be retrofitted to earlier Outbacks. In addition, the auto-functioning leading edge slats can be removed (with only eight bolts) translating to great versatility. 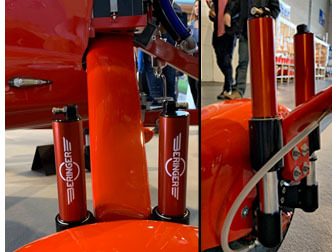 Custom hydraulic, side-mounted shock absorbers with 12 inches of travel and suspension geometry integrated into main and tail landing gear virtually eliminates the problems of touchdown rebound and ground hop that are all too common with traditionally sprung cabane-style landing gear. The gear position is also moved forward to enhance braking capacity with less risk of overturning. As a result, the Outback Shock lands and taxis with remarkable control and stopping power. The tailwheel is also shock absorbed. Looking deeper into the details, the Shock options include what SportairUSA calls the "hyper-STOL" wing profile boasting short takeoff and faster rate of climb. This incorporates slatted wings that move according to airflows without pilot involvement combined with two-element Fowler flaps and strategically placed vortex generators in numerous locations to optimize low-speed control. Compared to earlier models the Shock's wing is different in ways beyond the visible slats and Fowler flaps. The newly designed wing has six inches of added chord length, all-new spars, stamped aluminum ribs plus strengthened attachments and other structural improvements. Truncated wing tips have wing tip fences (plates on the tip) to control tip vortex and reduce drag. Joined to a sturdy welded steel inner structure, Zlin successfully subjected the Shock-option Outback to more than 1,600 pounds at 6G holding this load for over two minutes without deformation. A 40% increase in aileron surface area, together with a refined airflow design aided by vortex generators, allow the pilot to keep full control authority at extremely low speed on approach. Shock's Fowler flaps extend 70% from their retracted area and the flaps can be equipped with mini vortex generators installed inside the vane (see video). Zlin and SportairUSA love VGs; they are available for the wings, rudder, flaps and horizontal tail. As Bill notes in the video below, the tailplane also saw changes, beyond the shock-mounted tailwheel. Rudder and elevator surface area were extended more than three inches aft to balance the moment from the new wing design. Alright, you might accept Outback Shock as a engineering marvel with all the right attributes to qualify as a "hyper"STOL but what does all this do for you? The significant increase in wing lift provides added performance in landing and takeoff. With the 180-horsepower Titan engine doing the pulling, Outback Shock can launch in less than 200 feet at gross weight and land in barely over 100 feet. With a single occupant these numbers are halved. One part of the takeoff and landing prowess of Shock is low stall speeds... really low. Stall in the airplane with a single occupant is an astonishing 18 mph or about 15.6 knots; even at gross weight stall occurs at 23 mph (20 knots). However, Outback Shock is not a particularly speedy cross country cruiser. "Max" speed is 115 mph or 100 knots. Typical cruise is about 90 mph or around 80 knots. Shock lets you keep an better eye on your landing site thanks to a pitching moment generated by the deep flaps that results in a lower nose attitude on approach. Shock pilots can operate from smaller fields and land in places you might not otherwise consider (although this comment is not intended to encourage risky piloting behavior). Find out more from SportairUSA located at the North Little Rock Municipal Airport (KORK) in North Little Rock, Arkansas. You can come see the airplane at the upcoming Sun 'n Fun airshow over April 4-9, 2017. Once upon a time, the producer of a yellow LSA taildragger installed the industry’s most powerful engine resulting in a performance leader. This gambit succeeded handily and the builder enjoyed several strong years of sales. Others looked upon this success and saw that it was good. So, of course, being aviation entrepreneurs, others worked to do the original one better. How about not only an excess of power but other features and macho good looks to cause jaw-drops at every airshow? 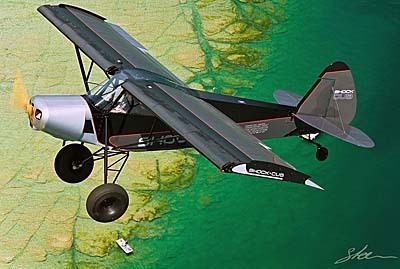 You may believe I am writing about Just Aircraft and their magnificent SuperSTOL. I’ve enjoyed flying this aircraft and you can research it further here. Adding exceptional wing qualities to a potent engine results in a sub-market within the LSA sector that has been drawing strong interest and the sales that follow. With newcomers offering appealing features and reducing the price into more affordable realms, it’s not hard to see why pilots are learning about these new flying machines and bringing one home. Cub-S, as it is known in 2014, is a very powerful Cub-like airplane. It isn't actually a Cub and it probably outflies the original or those who closely copied the Piper Cub of old. Yet with 180 horsepower hauling it enthusiastically into the sky, the is one to watch. It will be renamed late in 2014 and announced at Sebring 2015 because the name "Cub" is owned by another company that is acting to protect their asset. This video is our Part 1 edition of our Video Pilot Report (VPR) on the Zlin Cub-S ... or whatever it will later be called. Cub-S, as it is known in 2014, is a very powerful Cub-like airplane. It isn’t actually a Cub and it probably outflies the original or those who closely copied the Piper Cub of old. Yet with 180 horsepower hauling it enthusiastically into the sky, the is one to watch. It will be renamed late in 2014 and announced at Sebring 2015 because the name “Cub” is owned by another company that is acting to protect their asset. This video is our Part 1 edition of our Video Pilot Report (VPR) on the Zlin Cub-S … or whatever it will later be called. Video viewers like collections of LSA where we look at several different models and review their differences. 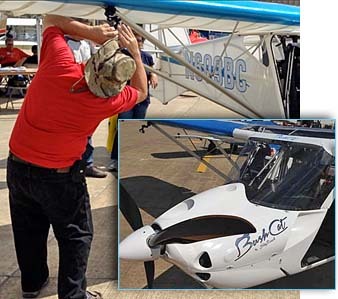 In this edition shot at the 2011 Midwest LSA Expo, we bring in representatives from each company to help with the details as we tour five models in a circle: Zlin Savage iCub; FK12 Comet; Rans S-7 Courier; CubCrafters CarbonCub SS; and American Legend Cub. Note that this video runs 25 minutes. You may know the Zlin Savage, now distributed in America by SportairUSA (the same folks that bring you the Sting, Sirius, and other cool light airplane gear). But iCub improves on the already great-flying Savage by adding the very latest of new technology. The primary instrument up front is an Apple iPad. Communicating via an onboard wireless system, the aft seat occupant has an iPhone 4 for smaller but otherwise nearly identical instrumentation. Videoman Dave almost literally bending over backwards as he checks the Garmin VIRB camera on the SkyReach BushCat. Ron Waechter poses beside his "Ferrari Red" Aerotrek as used for the VPR. We look over the shoulder of SportairUSA's Bill Canino while flying the 180-horsepower Zlin Outback. Note the very light camping gear in the foreground; it all packs down small for bush duty. 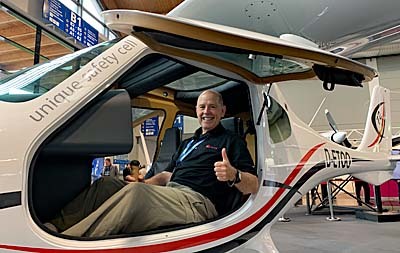 Onboard the "see-through" Aeroprakt A-22 with U.S importer, Dennis Long. When this website went live a few months before the Sport Pilot & Light-Sport Aircraft rule was announced at Oshkosh 2004, it began life as an archive of several hundred pilot reports I had written for a number of print magazines in aviation. That launch seems a long time ago ... it has been eleven and a half years. (Development started only a few years after the World Wide Web emerged and ByDanJohnson.com went live in April 2004.) One year after going live, I began to add news via a blog, which I called "Splog," for Sport Pilot web log. Videos started in 2008 and by 2015, news and video have become the primary content items. You might be surprised to hear ByDanJohnson.com predates YouTube, which began when three former PayPal employees created a video-sharing website. The Internet domain name YouTube.com was activated on February 14, 2005 and the website went public in November of that same year. Google subsequently bought it but even Google is only 17 years old; it went live on September 4th, 1998. New as it is in the world of aviation the SP/LSA rule is actually a couple months older than YouTube. I don't know about you but I find that rather amazing. For about seven years, Videoman Dave and I have been making 5-10 minute videos about Light-Sport Aircraft, light kit aircraft, ultralights, and light GA aircraft. We have partnered on more than 400 of these and many more are coming. See most of them here, organized for easier location, or find all of Dave's 1,000+ videos on his YouTube channel. Some of these are approaching one million views and the group generates more than 1.5 million minutes of viewing every month. Along the way we began to make what we now call Video Pilot Reports or VPRs. In the age of YouTube, this is the equivalent of detailed pilot reports or aircraft reviews I used to write for several aviation magazines. I find it exciting to return to the roots of this website albeit in the electronic form that dominates culture today. The videos are watched around the globe although I regret my Chinese readers cannot currently view these YouTube-hosted videos; perhaps things will change in that fast-evolving country. Making VPRs is significantly more work than doing the interviews that make up the bulk of our video library. These are longer videos, up to 30 minutes or so, sometimes broken into two parts. As we work on these videos, we are attracted to locations like Mt. Vernon, home to the Mid-West LSA Expo. We like the airport run by the very capable and popular Chris Collins as it is far easier to achieve these video productions. The airplanes are readily available and — after we've found camera locations and mounted them — we can in literally five minutes or less climb on board and be in the air. No other event, with the possible exception of Sebring, offers such swift access to the runway. Also, the airport itself is large and wide open and the surrounding area is accessible for in-flight maneuvering without having to stray too far away. That is hugely valuable. The work effort begins as we mount a number of cameras. We use up to seven Garmin VIRB cameras plus Dave uses his larger camera to shoot takeoffs and landings from the ground. To provide many views, VIRBs are mounted outside in multiple locations and we use three or more inside, two of which capture audio from our cockpit communications. The effort is broken into three segments. Shot on the ground before entering the cockpit we cover ... How and where the airplane is built, its construction and materials, the powerplant, gear, canopy, and other major or distinctive features. We present a basic description and may compare the subject to other aircraft. After entering the cockpit, we cover such "human factors" as entry, cockpit layout, visibility, seats and rudder pedal adjustment, ventilation, instrumentation, switches, and control systems along with any special characteristics of the subject aircraft. Finally, we roll out to the runway and go aloft for a 30-60 minute flight exploring taxi, ground steering and braking, takeoff techniques and measurement, evaluate initial and en route climb. We will do a full regimen of stalls including power-off or landing approach stalls, power-on or departure stalls, and accelerated or stalls in turns. We will evaluate handling qualities in dutch roll coordination exercises, do steep turns, turns-over-a-road, aileron- or rudder-only turning, and high and slow speed handling. We will measure high and low speeds and finally return to the airport for some landings, attempting to investigate (if conditions permit) normal, short, and soft field techniques with flap use and slipping as recommended. So, VPRs have become a valuable part of this website and the enterprise of Videoman Dave. I leave you with this thought: Every minute of the day, 24 hours a day, seven days a week ... 300 hours of video are uploaded to YouTube. We are pleased to be part of that tsunami of content and hope you continue to watch and enjoy. As the Frito Lay company used to advertise about their Dorito-brand snack chips ... Consume all you want. "We'll make more." 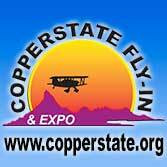 Even better than Doritos, all our videos are free.• In October Dave and I are traveling to the Flying Aviation Expo in Palm Springs, California and immediately afterward to the Copperstate show south of Phoenix where we will add many more videos to the library. • We offer our videos for free but they are definitely not free to make. Your support of Dave's YouTube channel and this website are essential if we are to keep making more. When this website went live a few months before the Sport Pilot & Light-Sport Aircraft rule was announced at Oshkosh 2004, it began life as an archive of several hundred pilot reports I had written for a number of print magazines in aviation. That launch seems a long time ago … it has been eleven and a half years. (Development started only a few years after the World Wide Web emerged and ByDanJohnson.com went live in April 2004.) One year after going live, I began to add news via a blog, which I called “Splog,” for Sport Pilot web log. Videos started in 2008 and by 2015, news and video have become the primary content items. You might be surprised to hear ByDanJohnson.com predates YouTube, which began when three former PayPal employees created a video-sharing website. The Internet domain name YouTube.com was activated on February 14, 2005 and the website went public in November of that same year. 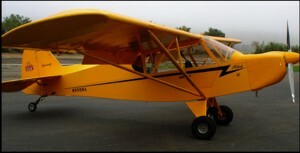 Thanks to powerful Cubalike airplanes — those vintage yellow taildraggers types with huge engines up front to make them perform more energetically — 2014 saw increased attention to the Savage Cub S. The Czech company offered their 180-horsepower version of the Cubalike phenomenon albeit at a more affordable price. The leading brand of Cub-like airplanes has pushed prices beyond $200,000, which strikes plenty of people as paying a premium, though most agree the design is handsomely achieved. They continue to sell well so vintage style appears to hold appeal. Meanwhile, Zlin engineers aren’t sitting still. This company has quite a flock of intriguing models, including Savage Classic, Savage Cruiser, Savage Cub (marketed as iCub in the U.S.), Savage Cub S, and Bobber. All these are now represented in America by SportairUSA, which also imports the TL Ultralight Sting and Sirius as well as selling Searey amphibious kits among a variety of other products of services they’ve assembled. The sixth annual Midwest LSA Expo just concluded. These LSA-only events offer a more intimate setting where you can speak at length with an aircraft or other product representative. They don't offer the dense traffic of the big shows but the valued trade off is that nearly everyone who shows is interested. People came from as far as California and I witnessed many demo flights. The Mt. Vernon airport is as good as it gets for this purpose with easy access to big broad runways and plenty of open airspace. Lead by energetic Chris Collins, a team of volunteers made it work again. When the event isn't swallowing all their time these folks have a little fun. Don't worry about the nearby picture; TSA and Homeland Security can calm down. This was a planned promotional venture on the side of a great new restaurant called Rare, a chop house. The airplane suffered a crash and the tail is all that escaped undamaged; thankfully, the pilot suffered only minor injuries. Now it's immortalized ... though the N-number was altered to protect the owner's privacy. Be creative and win an iPad. That's the news from Sportair USA, importer of TL Ultralights (Sting and Sirius) and the Savage line of "Cubalikes," to borrow Sportair boss Bill Canino's word. Now the "Cub" part has to go. "In our enthusiasm for the Cub-S we overlooked something when we introduced it at AirVenture 2013 in Oshkosh," said the Arkansas company. "The word 'Cub' is a registered trademark in the USA [that was purchased from the originator of the name, Piper]. Even though many manufacturers of kits and ready-to-fly airplanes do use Cub in the names of their products, that word belongs to someone who asked us to stop using it." Being a respectful company, Sportair will cease using the "Cub" name. Indeed, that's why they're using a contest to rename the airplane. Sportair sells variations called Savage Cub, Bobber, and Cruiser but it was the Titan Stroker 180-horsepower Savage Cub-S that really raised the red flag for the name owner, perhaps as Cub-S is only $128,000, tens of thousands less than some other Cubalikes! So, if you come up with a winning name for this powerful variant, you could win one of three prizes worth several hundred dollars. Visit Sportair's Name The Plane page. Looking all bush, Cub-S — as it shall be known for a short time — is capable of landing on a creek bed or a lumpy turf field. Bush capability on Light-Sport Aircraft is more available thanks to new product releases. At the Midwest LSA Expo, RANS displayed their S-20 Raven on big tundra tires (video coming) as did Just Aircraft and Aerotrek. The Indiana company that sells the affordable A240 trigear and A220 taildragger — with a list price of $88,950 — can now be ordered with large tundra tires and this is on a nose-dragger. Nearly always such bush capability comes on a taildragger which configuration is not right for everyone. 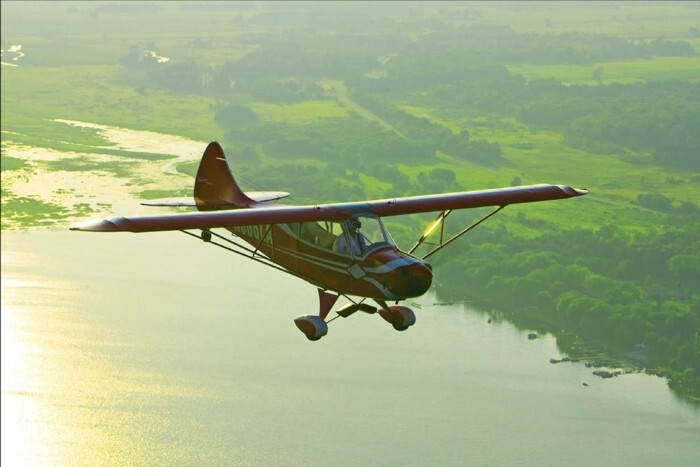 Insurance companies know tailwheel training is less common than it was many years ago and therefore getting coverage may require more training or experience. With the A240 in tundra tires for the same low price, you can have bush capability without a large investment. Aerotrek is a stable and successful importer that has steadily climbed the market share ladder now appearing in 10th place nationally and their order book stays full. Just Aircraft just can't sit still on their SuperSTOL. 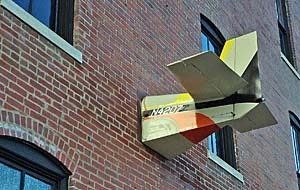 The airplane is selling briskly and chief designer Troy Woodland keeps improving this amazing aerial animal. It's already a fascinating airplane to watch make incredibly short takeoffs and even shorter landings. Now, it will have even more control at its crawling approach speed because Troy added spoilers to the wings (arrow), joining movable slats, vortex generators, tip plates, and large-volume flaps. My longtime interest in gliders and soaring gives me familiarity with spoilers. I feel they are an underused flight control that can have a significant effect on the wing's lift and, unlike flaps, they can be retracted quickly without adverse results. Indeed, when I flew the Cumulus ultralight motorglider extensively I became very accustomed to using them intermittently, in short on-off bursts, to control approaches to landing. For a super-short-field performer like SuperSTOL, this may prove a compelling idea and one more reason to consider this intriguing design. Just Aircraft has sold more than 500 kits and is going strong ... no wonder with this steady development work they're doing. Rotax largely owns the LSA space so far as powerplants go at somewhere around 80% market share. 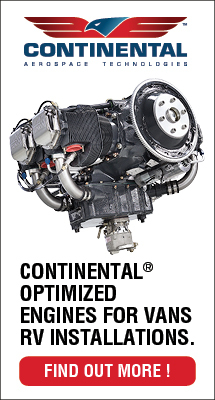 Of course, Continental is never to be counted out with their O-200 series that lifts many airplanes including the new batch of "LSA 4.0" GA-like aircraft and Jabiru also serves both LSA and homebuilt fleets (the latter with no less than seven firewall forward packages). Plus, we have the D-Motor coming and Florida-based Viking remains busy in the homebuilt space. At the Midwest LSA Expo importer Robert Helm told us "most of the work is complete to make the ASTM declaration" for the UL Power engines to become available on Light-Sport Aircraft. The Belgium company hasn't made a final decision to enter fully built aircraft due to liability concerns but Robert says he's very busy handling warm response from homebuilders. He recently signed a deal with Wicks Aircraft to handle parts fulfillment, giving him more time to work with tech support for installers and maintainers. KMVN is one of the best places for my video partner and I to shoot video pilot reports (VPRs). Over three days, we gathered footage for several new video interviews and VPRs. For the first time we used a new set of the new Garmin VIRB cameras. We installed a total of six cameras in or on each airplane plus shooting takeoffs, landings, and low-and-slow passes. Doing these VPRs takes one to two hours each — 30-45 minutes just to mount all the cameras. The slower pace of Mt. Vernon is excellent for these more comprehensive video productions. Once we leave the field, the real post-production work begins but watch for videos on the 180-hp Savage Cub-S, Rans S-20 Raven, Zenith 750 Cruzer, ICP Savannah plus several new video interviews. We hope you'll enjoy them. The sixth annual Midwest LSA Expo just concluded. These LSA-only events offer a more intimate setting where you can speak at length with an aircraft or other product representative. They don’t offer the dense traffic of the big shows but the valued trade off is that nearly everyone who shows is interested. People came from as far as California and I witnessed many demo flights. The Mt. Vernon airport is as good as it gets for this purpose with easy access to big broad runways and plenty of open airspace. Lead by energetic Chris Collins, a team of volunteers made it work again. When the event isn’t swallowing all their time these folks have a little fun. Don’t worry about the nearby picture; TSA and Homeland Security can calm down. This was a planned promotional venture on the side of a great new restaurant called Rare, a chop house. Cub-S with the Lycoming Titan Stroker IO-340 engine producing 180 horsepower. 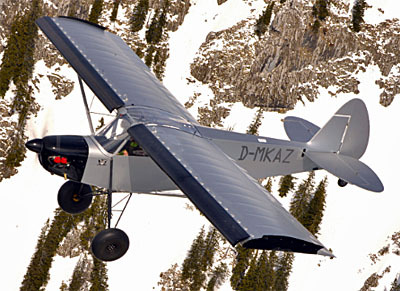 Cub-S can be equipped with 31-inch Alaskan Bushwheels and 6-inch extended landing gear. The go-up-faster competition in Light-Sport aviation just got more boisterous. SportairUSA loves their S-planes and they just announced a new one: Cub-S. Why do I call them the S-planes people? How about this? They sell the Sting, Sirius, Savage, Snap, and now Cub-S with the Titan Stroker IO-340 engine producing a whopping 180 horsepower. 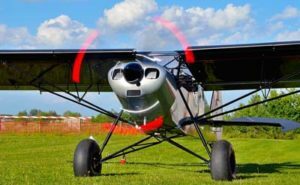 The company is SportairUSA, U.S. distributor for aircraft manufactured by Zlin Aviation of the Czech Republic and they plan to showcase their new Cub-S at AirVenture 2013. 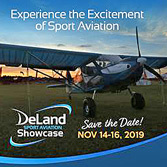 "Look for the SportairUSA site at #295 Knapp Road, located just off of Celebration Way, between the Lycoming display and the EAA Welcome Center, said the company publicist. 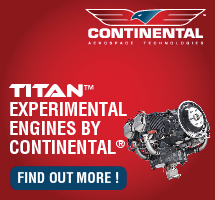 Here's another company using Lycoming engines, a move we've increasingly seen in the last couple years, adding to Renegade, Arion Aircraft, and Tecnam. "With its best-in-category power-to-empty weight ratio of 4.74 pounds per horsepower (7.33 pounds per horsepower even at MTOW), the Cub-S climbs at up to 2,100 fpm," said Bill Canino of SportairUSA. He added that takeoff roll is 60 feet with one pilot or 81 feet fully loaded. Cruise speed is reported at 112 mph (97 knots) at 75% power, even when equipped with 31-inch Alaskan Bushwheels and 6-inch extended landing gear. "The Cub-S performs brilliantly in difficult, remote operations," said Canino. 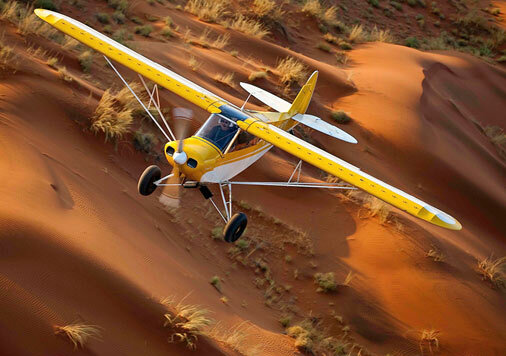 "Cub-S is a fun, safe, robust and easy-to-fly airplane, suitable for weekend escapes or for expeditions into the bush. This is a lot of airplane for less than $125,000." SportairUSA said the first two deliveries are scheduled for November of 2013. Pasquale Russo of Zlin Aviation explained, "Now you have choices. You can chase the $100 hamburger or you can land on the highest mountain slope, reach the most isolated snow covered village, fly in to that secluded fishing spot or pristine beach to spend the day or camp for a week." Zlin reported that Cub-S was the result of two years of study in the effort to build an LSA that optimizes off-runway operations. Cub-S tops the Zlin line, which also includes the Savage Bobber, Cub, iCub, Cruiser and Classic. Throttle up pilots, and see what two thousand feet per minutes feels like. The go-up-faster competition in Light-Sport aviation just got more boisterous. SportairUSA loves their S-planes and they just announced a new one: Cub-S. Why do I call them the S-planes people? How about this? They sell the Sting, Sirius, Savage, Snap, and now Cub-S with the Titan Stroker IO-340 engine producing a whopping 180 horsepower. The company is SportairUSA, U.S. distributor for aircraft manufactured by Zlin Aviation of the Czech Republic and they plan to showcase their new Cub-S at AirVenture 2013. 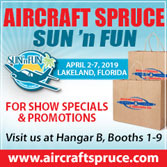 “Look for the SportairUSA site at #295 Knapp Road, located just off of Celebration Way, between the Lycoming display and the EAA Welcome Center, said the company publicist. Here’s another company using Lycoming engines, a move we’ve increasingly seen in the last couple years, adding to Renegade, Arion Aircraft, and Tecnam. 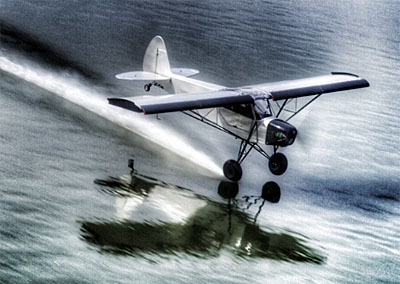 “With its best-in-category power-to-empty weight ratio of 4.74 pounds per horsepower (7.33 pounds per horsepower even at MTOW), the Cub-S climbs at up to 2,100 fpm,” said Bill Canino of SportairUSA. Out-Cubbing the Cubs… Can You iCub? 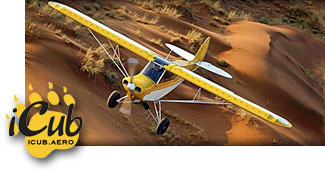 Sportair USA thinks the American Cub replicas — those from CubCrafters or American Legend — are rather expensive. After all, when LSA started and the European aircraft began arriving, those across-the-Atlantic manufacturers enjoyed very low wage rates and lower general costs allowing them to sell at prices below that U.S.-based producers could match. *** A couple years before the first European LSA arrived, a euro and a dollar had roughly the same value. Then things started to change. Wages began to rise in eastern Europe. Simultaneously, the dollar began to lose value... or the euro began to gain (it doesn't really matter which way you look at it). The two conspired to cause the price of European-built LSA soar in cost to American buyers. *** Today, at least one (Allegro) and perhaps as many as four more European aircraft will be built in the USA. Why? Because, amazingly, it may now cost less to build a Light-Sport in America than in eastern Europe. *** If that's true, why are the Cub replica producers charging so much for their airplanes? CubCrafters' Carbon Cub SS has a base price of $163,280! You may get a lot of airplane for the money, but these modern-day Cub replicas are not inexpensive, that's certain. *** So, what if you'd love a Cub-like aircraft yet you haven't won the lottery? How about iCub? (Or how about a Rans S-7LS Courier? It also carries a much lower price and flies wonderfully well.) *** Sportair USA is known for their supersleek Sting or the high-wing Sirius, both carbon fiber creations. A couple years ago they took over the importing of Zlin's Savage, rebadging the model as the iCub, justifying the trendy name through the use of an Apple iPad up front (photo) mated to an iPhone 4 in the rear. An onboard wireless system shares flight and engine info without copper wire clutter. Cool, huh? Even with the innovative thinking, these birds are kinder on your budget. 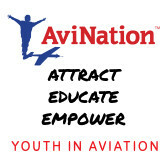 *** Bill Canino, President of SportairUSA coined a new phrase when he said, "Zlin Aviation builds one of the world's most popular lines of Cub fly-alikes." Indeed the Zlin is not a Cub. It's lighter and uses the Rotax engine; neither American Cub replica uses Rotax. "We are now able to offer [Savage models] in America at prices $40,000 to $50,000 below the competition," said SportairUSA. To prove their point, the Arkansas company lists Savage Cub for $78,790, ready-to-fly including shipping, fees and registration. New, lower prices on other aircraft in the Savage line are $71,090 for the Classic, $74,490 for the Cruiser, and $87,610 for the iCub. *** SportairUSA has become a full-line supplier to the LSA industry with additional aircraft such as SeaRey; unique, innovative equipment; plus a full avionics shop. Centrally located in the USA, you probably want North Little Rock Municipal Airport (KORK) in your waypoints list. 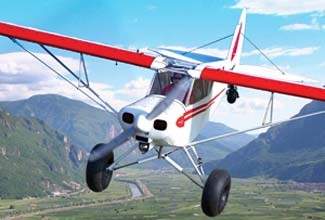 Sportair USA thinks the American Cub replicas — those from CubCrafters or American Legend — are rather expensive. After all, when LSA started and the European aircraft began arriving, those across-the-Atlantic manufacturers enjoyed very low wage rates and lower general costs allowing them to sell at prices below that U.S.-based producers could match. *** A couple years before the first European LSA arrived, a euro and a dollar had roughly the same value. Then things started to change. Wages began to rise in eastern Europe. Simultaneously, the dollar began to lose value… or the euro began to gain (it doesn’t really matter which way you look at it). The two conspired to cause the price of European-built LSA soar in cost to American buyers. *** Today, at least one (Allegro) and perhaps as many as four more European aircraft will be built in the USA. iPad Comes To The Cockpit! If you want to have a rocking good time without ever leaving your seat, check out this video clip of an upcoming film titled, “No Second Chances.” Billed as “an Alaskan bush adventure on steroids” if this teaser is any indication, ho shee mama, this ought to be some flick! *** The bigger news, as Dan Johnson covered earlier with some interesting historical perspective, is the announcement by SportairUSA of the Bush iCub. *** Dan points out that the new LSA isn’t another Cub Clone a la the Legend or CubCrafters versions, but an evolution of the Savage Cub, Cruiser and Classic line of light sport airplanes put out by the Czech Republic’s Zlin Aviation since 1999. *** I’d like to get my hands on the Bush version and go do some dirt-whompin’. It’s got a 7-inch extended landing gear, 1.25-inch axles, big fat bush wheels and other mission-specific enhancements. I've flown Savage and found it fun to fly and livelier than Legend Cub or Sport Cub. Yes, that's an iPad in the panel and what you can't see is an iPhone in a rear mount. Apple invades the cockpit. The "magical" device is backed up with conventional instruments. Zlin's iCub/Savage can be "bush-capable" when SportairUSA equips the taildragger with extended gear legs and 26-inch tundra tires. SportairUSA, run by proprietor Bill Canino, has long been an innovator in the LSA business. His company doesn't build Light-Sport airplanes but Bill has triggered several interesting add-ons: he was one of the first (along with Flight Design USA) to install parachutes on all StingSports; he developed the GreenLine engine monitor system, he offered the Straight & Level button to help those caught unexpectedly in no-visibility conditions; and last year at AirVenture he rolled out the ForeSight enhanced visibility system... and this list is not exhaustive. *** For AirVenture 2010 just six weeks away, he's got a whole new concept. First is iCub. 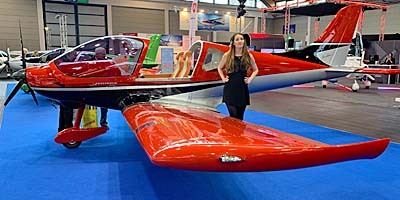 Previously distributed under the model name Savage (still retained for some models), the sorta-Cub-like taildragger manufactured by the Zlin company of Czech Republic will now be distributed by SportairUSA, adding to their low-wing Sting series and their high-wing Sirius , both built by TL Ultralight in Czech. But iCub is more than yet another Cub replica adding to offerings from American Legend and CubCrafters. 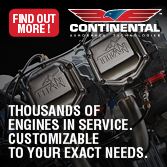 For one it's powered by Rotax -- the other two prefer the Continental -- and it's shorter coupled. Both differences provide stronger performance. But it's better, much better (well, at least if you're an Apple fan like 100 million other owners of their iPod/iPhone/iPad line). *** The primary instrument in iCub is... an iPad. 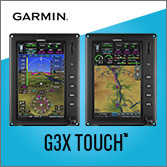 Yup mounted right in the panel and given an enormous ecosystem of apps -- some of which are for aviators -- iPad can offer tremendous versatility at lower cost than present avionic offerings. A tandem seater like the other two Cub replicas, iCub instrumentation for the rear seat occupant is... an iPhone 4. Both can run the same software and both are devices a huge number of people already know how to use. How cool is that!? Plus, it has on-board wireless for the devices to talk to one another and to another iCub within reception range. *** Price of the iCub is projected to be below $100,000 even with extended gear and 26-inch tundra tires; thousands less than Legend or CubCrafter models. The iCub website just went live and in-person demos are planned for the big summer airshow. Better come check it out. SportairUSA, run by proprietor Bill Canino, has long been an innovator in the LSA business. His company doesn’t build Light-Sport airplanes but Bill has triggered several interesting add-ons: he was one of the first (along with Flight Design USA) to install parachutes on all StingSports; he developed the GreenLine engine monitor system, he offered the Straight & Level button to help those caught unexpectedly in no-visibility conditions; and last year at AirVenture he rolled out the ForeSight enhanced visibility system… and this list is not exhaustive. *** For AirVenture 2010 just six weeks away, he’s got a whole new concept. First is iCub. 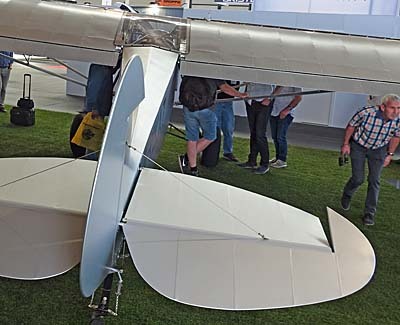 Previously distributed under the model name Savage (still retained for some models), the sorta-Cub-like taildragger manufactured by the Zlin company of Czech Republic will now be distributed by SportairUSA, adding to their low-wing Sting series and their high-wing Sirius , both built by TL Ultralight in Czech. Want flaps? The Savage has 'em, unlike original J-3 Cubs. Savage demo pilot John Mohr appreciates the addition of the flaps in slowing the aircraft down. Keith and Julie Hartlaub of Savage Aircraft Sales are now the distributors of this Zlin design in the United States. Keith recently earned a light-sport repairman maintenance rating to provide maintenance assistance to their customers. [UPDATE 6/23/10 -- SportAirUSA has now taken over U.S. distribution; the Hartlaubs will stay on as regional dealers. With a generous skylight overhead, visibility from the Savage is expansive. Because the airplane can be flown solo from the front seat, S-turns aren't needed to maneuver this taildragger on the ground. The low-slung door on the right side makes getting in and out of the airplane easy. A door on the left side is an option ($2,000 extra) and something float-plane fliers would likely find quite desirable. As stated before, the Savage can be flown solo from the front seat so that's where the main instrument panel is located. However, there's a small instrument pod in the back seat with a turn-and-bank indicator, air speed indicator, and altimeter inset. As we near the fourth anniversary of the introduction of the first special light-sport aircraft (S-LSA) in April 2004, notable successes have been achieved. With approximately 1,000 fixed-wing LSA-plus several hundred flex wings-in the national fleet, and with the entry of Cessna and Cirrus into the LSA marketplace, LSA have clearly become part of the aviation scene. Whatever the soothsayers predict for the future of LSA, one fact has been established: Pretty yellow taildraggers generate a solid following. Combining the sales of American Legend Aircraft's Legend Cub, CubCrafters' Sport Cub, and European supplier Zlin's Savage, nearly one in five S-LSA registered in the FAA's database are yellow taildraggers. American Legend currently leads in market share, but CubCrafters steadily rose through the ranks during 2007. Well down the list, but with mounting registrations, is the Zlin Savage. Though it more closely resembles the RANS S-7 Courier than the traditional J-3 Cub, the Zlin taildragger has much to offer. Savor the Differences Two salient features separate the Savage from the Legend Cub or Sport Cub. First is the price. At the 2008 retail price of $70,000, the Europeanbuilt Savage costs so much less than the two American-made products that you might wonder if something major is missing. Second, the Savage comes in with an empty weight of 673 pounds before loading it up with accessories. That's a hundred pounds less than the other two. As with most light aircraft I've flown, this quality alone suggests the Savage will perform admirably. Of course, the Rotax 912 powerplant contributes to both of these factors. 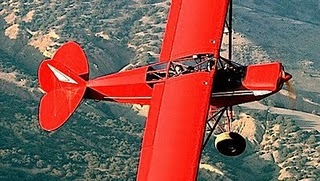 I flew a red Savage with John Mohr, proprietor of John Mohr Barnstorming. Flying a Stearman in air shows, he has logged an incredible 37,000 hours. But he's more than a highly skilled pilot; John built his first aircraft at the age of 17. That early project was a helicopter, and he obviously liked the experience. He's since built a total of four helicopters. John's family bought a new J-3 Cub in 1947 and has owned it ever since. It has trained four generations of pilots, so it has great sentimental value to the Mohr family. Beyond that appeal, however, John says he prefers flying the Savage, saying it has more performance and better handling, plus he enjoys having flaps, with which the 1947 Cub isn't equipped. The Savage's flaps can be set to three deployed settings up to 35 degrees. The tailplane of the Czechdesigned, Italian-assembled Savage is fabric-covered, as are the fuselage and wings, though the ailerons and flaps are aluminum. The Savage has a door on only the right side, like all original Cubs. This is probably one way to save a few dollars, but it limits the wide-open flying that can be achieved with two doors open. A single door also limits your options for exiting the aircraft when flying on floats and trying to secure the airplane to a pier or dock. A left-side door is available on the Savage at a cost of about $2,000, well worth the price if you want the versatility of getting out on either side when docking at a pier. Tandem Cabin The recommended way to enter the Savage is either to back in and sit down first or swing a leg in. I chose the latter as a means to enter without having to pull my leg inside and then over the joystick, which seemed awkward. Fortunately, the welded steel interior offered a number of safe handgrips to use in achieving the somewhat trickier leg-first entry. The Savage's only door opens and latches with a central latch, although a secondary latch is located forward, which helps secure the door at the leading edge, but it would be difficult or impossible to reach from the aft seat. The Savage is flown solo from the front seat, dictated less by weight and balance and more by flap operation, which can only be done from the front seat. Most pilots probably prefer the front seat anyway, but flying from the rear seat is highly functional, and I performed well from this location. I had chosen to sit here to experience the Zlin model from a different perspective. Were the Savage my own, I'd want at least a tachometer and an airspeed indicator in the aft seat to make the airplane more flyable from either seat. Mohr and I flew the Savage from the ultralight/lightplane runway at EAA AirVenture Oshkosh 2007. The field proved no great challenge for the Savage, at least in John's capable hands. When we taxied out for launch I observed that the toe brakes were very effective. Because the tail wheel is fully castoring, you can maneuver the Savage compactly. John showed me a handy technique of easing the stick forward to unload the tail wheel a bit (while running some power), allowing it to break loose more readily for extremely tight maneuverability. You can pivot the plane around a single main gear with a bit of practice. After his demonstration of the Savage's handling qualities, I was able to emulate John's techniques thanks to full dual controls in the Savage. Hydraulic toe brakes are also offered at both seats. Fortunately, the great forward visibility of the Savage means you don't need much ground maneuverability. Unlike most taildraggers, S-turns are rarely needed in the Savage. Once aloft, John wanted to demonstrate the in-flight door-opening procedure. As we slowed the airplane to about 60 knots, John prepared to open the door. He released the front latch first and then the main, centrally located latch and let the door swing upward. My recorded notes captured a blast of wind in the cockpit and especially in my rear seat. But the ultralight pilot in me immediately loved the feeling. Wisconsin Barnstorming John's an airshow performer and I'm a longtime ultralight pilot-seemingly distant ends of the aviation spectrum- but we both enjoyed flying low over the Wisconsin pastures. We enjoyed drifting along over the wideopen fields, flying at 55 knots and using no flaps. As with all the Cub replicas or re-creations, slow flying is their strength. The same is true of the Savage. But not all Savage models are alike. Vortex generators were added to one Savage on display at AirVenture 2007. Can they actually help a simple airfoil such as these aircraft use? The answer is yes. John indicated that, of the two Savages at AirVenture 2007, the one fitted with vortex generators could fly significantly slower than the other. John said it will slow so much that you can practically land it on the tail wheel. We flew the Savage without vortex generators, and John prefers to wheel-land this model. Readers interested in shortfield operations or float operations would surely want such efficient vortex generators. Following John's lead, I found landings could make good use of a bit of power; the Savage then flies down to the ground with wonderful behavior. It was hard to take note of speeds from the aft seat, but my seat-ofthe- pants technique, combined with good airplane behavior, contributed to easy landings. Flying the Savage, like nearly all taildraggers, requires "happy feet." Active foot movements keep the rudder pedals in motion with lots of small corrections, after which taildraggers can seem simple to fly. Despite proper technique, I had one landing where I dropped the Savage in a bit. John thinks I got a little slow and at some point, he said, the Savage without the vortex generators experiences a flow separation and this allows the plane to drop to the ground. Flying with a touch of power cures this as does the VG setup. I'd choose the latter for this reason alone. The Savage does excellent forward or sideslips in either direction, no doubt thanks to its generous side area, all the while demonstrating great control authority. Falling Leaf I have long used Dutch rolls to discover handling qualities of a new airplane. Adding to this practice, John taught me the "falling leaf" maneuver. This is a similar but somewhat extreme form of the Dutch roll where you start to enter a spin but, before allowing the airplane to actually spin, you arrest it and reverse the direction. The Savage certainly revealed the falling leaf, in fact wafting around noticeably during the maneuver. John reports his Stearman does this maneuver more gracefully, but repeating the falling leaf maneuver allows you to more quickly recognize an incipient spin and to practice recovery. I would not recommend it to less experienced pilots, but in the hands of an expert like John, it appears a highly useful exercise. I noticed in steep turns, especially to the left, that I tended to run out of back-stick unless I added a touch more power. This is a common occurrence in most general aviation airplanes I've flown, but not always in the lighter-weight metal or composite LSA. To the right, this result was less apparent. I flew the whole flight from the rear seat and did very well from this position. I also discovered that a rear-seat pilot can make great use of the overhead skylight in turns, probably more so than someone seated up front and closer to the skylight. Cruising around the fields neighboring AirVenture at 5000 rpm, Savage showed us about 85 knots indicated. It can cruise a bit faster, but I found the power setting to deliver solid power with a bit less noise and vibration. The yellow, vortex generatorequipped Savage is also lighter than the red Savage we flew because it has fewer accessories. John reported flying it at 4700 rpm where he observed an indicated 100 mph or 86 knots. The speeds appear similar for both versions, but you need 300 fewer revolutions out of the 100-hp Rotax 912S engine to achieve the same low-range cruise in the vortex generator- equipped variation. For those not familiar with Rotax engines, it's important to know that 4700 is a lower power setting, perhaps equivalent to 2300 rpm on a Continental or Lycoming engine. When I ran my stall regimen in the no-vortex generator Savage using flaps, the power-off stall came gently without a break at 38 knots indicated. Using full flaps, the airspeed indicator dropped below 30 knots with a mild stall break. John indicated that the VG-equipped model could fly all day at an indicated 20 knots and that it was possible to drop the airspeed indicator (ASI) to zero. Of course, at these nose-high attitudes, any ASI has considerable error. John demonstrated a hammerhead stall, pulling up to nearly vertical and then pivoting over on one wing. The pullout from this aerobatic maneuver hardly exceeded 80 knots with a slight g-load in pullout. The slower speed of the Savage illustrates one of the benefits of flying a slower, high-lift wing: You are far less likely to overstress the structure in high-speed maneuvers. Taming the Savage Keith and Julie Hartlaub replaced Bob West of North American Sport Aviation as the distributor of the Savage, operating under the business name Savage Aircraft Sales based at the Manitowoc County (Wisconsin) Airport (KMTW). Though West deserves some credit for introducing the Savage to Americans, the Hartlaubs have increased the airplane's exposure. The Hartlaubs are also part owners of Lakeshore Aviation. With their combined enterprises, they can offer flight training, insurance checkouts, delivery services, and maintenance. 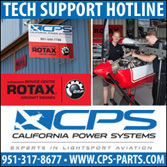 Lakeshore is also an authorized Rotax engine repair center. Given the euro's strong rise against the dollar in recent years, I'm amazed that Savage Aircraft Sales can sell a euro-denominated import for tens of thousands less than other LSA after shipping the airplane to the U.S. The price did rise 17 percent from $60,000 in the last year, yet it remains in the lower range of ready-to-fly LSA you can purchase. The Savage Classic at the 2008 price of $70,000 includes the following equipment: a 100-hp Rotax 912S engine with a two-blade, wooden propeller, single-color paint scheme, airspeed indicator, altimeter, compass, slip indicator, engine tachometer, hour meter, cylinder head temperature gauge, oil temperature gauge, oil pressure gauge, dual controls, four-point seat belt system, overhead skylight, storage compartment, standard upholstery, 600-by-6 wheels and tires, and hydraulic toe brakes. Savage Aircraft Sales also offers a list of options. With a $70,000 base price, the Zlin design competes superbly with the American Legend Cub or the CubCrafters Sport Cub, which retail for tens of thousands more. RANS' S-7 Courier is more price-competitive at about $75,000 ready to fly. Given the euro's current strong run against the dollar, the $70,000 U.S. selling price is truly a remarkable achievement. Should the dollar strengthen, Zlin may sell all the airplanes it can produce. With great flight qualities and solid new U.S. representation, the Savage's price alone suggests you ought to closely examine the Zlin Savage if you're an LSA enthusiast who likes pretty yellow taildraggers-or even red ones, for that matter. 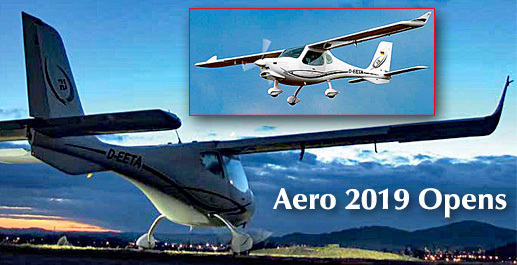 As we near the fourth anniversary of the introduction of the first special light-sport aircraft (S-LSA) in April 2004, notable successes have been achieved. With approximately 1,000 fixed-wing LSA-plus several hundred flex wings-in the national fleet, and with the entry of Cessna and Cirrus into the LSA marketplace, LSA have clearly become part of the aviation scene. Whatever the soothsayers predict for the future of LSA, one fact has been established: Pretty yellow taildraggers generate a solid following. Combining the sales of American Legend Aircraft’s Legend Cub, CubCrafters’ Sport Cub, and European supplier Zlin’s Savage, nearly one in five S-LSA registered in the FAA’s database are yellow taildraggers. American Legend currently leads in market share, but CubCrafters steadily rose through the ranks during 2007. Well down the list, but with mounting registrations, is the Zlin Savage. Though it more closely resembles the RANS S-7 Courier than the traditional J-3 Cub, the Zlin taildragger has much to offer. Even though Savage has a 1,236-pound gross weight, its significantly lower empty weight (673 pounds) yields 563 pounds of useful load that permits options other Cubs must avoid. Given how she flies, I really don't know why the Zlin developers settled on the name Savage. It simply isn't "savage" despite being a taildragger that challenges some tricycle-gear-trained pilots. Sure you'll need training or prior experience to qualify for insurance but it's no more challenging than Legend Cub, Sport Cub, or RANS's S-7LS. Savage exhibits very cooperative handling down to low stall speeds (below 40 mph indicated). You can read a sidebar or look for full-length articles to be posted here including one appearing soon in Light Sport and Ultralight Flying. *** Coming next for Zlin's Savage is a bushplane option perhaps to be named the Sport. The new model will include reinforcements to withstand the rigors of bush flying and landings on rougher surfaces. Additional X bracing has been added, the gear extended three inches to allow huge Alaskan Bushwheels (photo), plus you can order a belly pod for camping gear. If you want floats, you should select the left side door option. *** But since Savage is much lower priced than Legend or CubCrafters, you can add several options and still spend less. 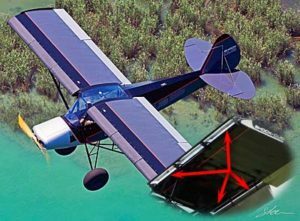 According to expert Cub pilots another option worth considering, especially for bush flying, is vortex generators. Given how she flies, I really don’t know why the Zlin developers settled on the name Savage. It simply isn’t “savage” despite being a taildragger that challenges some tricycle-gear-trained pilots. Sure you’ll need training or prior experience to qualify for insurance but it’s no more challenging than Legend Cub, Sport Cub, or RANS’s S-7LS. Savage exhibits very cooperative handling down to low stall speeds (below 40 mph indicated). You can read a sidebar or look for full-length articles to be posted here including one appearing soon in Light Sport and Ultralight Flying. *** Coming next for Zlin’s Savage is a bushplane option perhaps to be named the Sport. The new model will include reinforcements to withstand the rigors of bush flying and landings on rougher surfaces. Additional X bracing has been added, the gear extended three inches to allow huge Alaskan Bushwheels (photo), plus you can order a belly pod for camping gear. 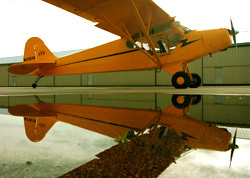 Caught in reflection at the St. Louis EAA Sport Pilot Tour, the Legend Cub was the first to win Special Light-Sport Aircraft (SLSA) certification. Click for more Legend Cub info. Triplet LSA Cubs entering the market show the popularity of this venerable design. First approved as an SLSA was the Legend Cub which offers many features desired by those who love J-3 Cubs. Shortly after Legend came approval for the Savage Cub and the CubCrafters Sport Cub should follow soon. Watch for my review of all three in EAA's October 2005 Sport Pilot and Light-Sport Aircraft magazine. One differentiating factor between the three are their choices of engine. Both Legend and CubCrafters use the 100-hp Continental O-200 while Legend plans to offer the 120-hp Jabiru 3300 as well. Savage offers the 100-hp Rotax 912S. 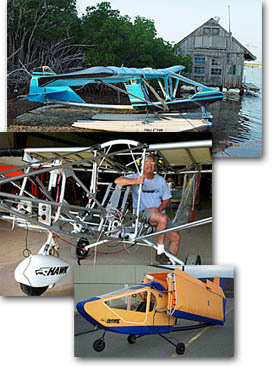 All offer electric starting (not on an original Piper J-3) and each has significantly improved performance and comfort. Triplet LSA Cubs entering the market show the popularity of this venerable design. First approved as an SLSA was the Legend Cub which offers many features desired by those who love J-3 Cubs. Shortly after Legend came approval for the Savage Cub and the CubCrafters Sport Cub should follow soon. Watch for my review of all three in EAA’s October 2005 Sport Pilot and Light-Sport Aircraft magazine. One differentiating factor between the three are their choices of engine. Both Legend and CubCrafters use the 100-hp Continental O-200 while Legend plans to offer the 120-hp Jabiru 3300 as well. Savage offers the 100-hp Rotax 912S. All offer electric starting (not on an original Piper J-3) and each has significantly improved performance and comfort. [UPDATED -- May 2007: Savage Cub is now represented by Savage Aircraft Sales (www.savageaircraftsales.com) located at 6609 Northeim Road, Manitowoc WI 54220; or call (920)726-5260.] Is the concept of a renewed Cub a phenomenon that developed with the LSA rule? Actually, no. The Savage Cub has been in production since 1997. An Italian design team created the plane and first built the model in Italy. In 1999 production was taken over by Zlin Aviation S.R.O. in the Czech Republic, which has connections to Czech aviation pioneer, Moravan Aeroplanes, maker of the Zlin all-metal GA aircraft. [UPDATED -- August 2007: Savage Aircraft Sales of Wisconsin took over from former distributor Bob West who used the name North American Sport Aviation. Savage Aircraft Sales is run by Julie & Keith Hartlaub. Savage earned S-LSA certification just prior to EAA AirVenture Oshkosh 2005 and is the only one of the three new Cubs to use Rotax powerplants, no surprise given the design's origin in Europe where Austrian-based Rotax dominates the light aircraft engine market. You can order the Savage with either an 80-hp 912UL or 100-hp 912ULS. Twin 9-gallon aluminum fuel tanks provide about 4.5 hours of operation, a nice economy advantage over the Continental engines favored by American Legend and Cub Crafters (see next sidebar). Rotax engines may also use autogas, extending the cash savings. The Savage's wing is a bit smaller than the Legend's, at 153 square feet versus 178.5 on the Texas-built airplane. At 639 pounds empty, Savage is more than 200 pounds lighter than the Legend Cub or Cub Crafters Sport Cub, even when equipped with the slightly heavier Rotax 912 ULS engine. The Savage flies about 5-7 mph faster than the Legend, and its range is considerably greater (almost 100 miles more), despite having 4 gallons less fuel on board than the Legend Cub all attributable to its lighter weight, which also contributes to a 50-foot shorter ground roll on takeoff or landing. If lighter is better for you, the Savage deserves a deeper look. And if you like Rotax engines, it may be your Cub choice. Conversely if you don't care for Rotax engines and prefer the in-flight smoothness of a heavier airplane, the Legend Cub or Cub Crafters' Sport Cub might remain a better choice. However, it will be a tough choice as the Savage has a modest selling price of $53,000-$55,000 in ready-to-fly form (the difference being the 80- versus 100-hp engine). A list of options can raise that price, but even fully loaded the Savage is $10,000 less than the base price of the Legend Cub or $25,000 less than Sport Cub. [UPDATED -- August 2007: Starting price of Savage in 2007 is $60,000.] The plane is somewhat simpler in construction, but with that much savings, the Savage is one to consider. Information: Savage Aircraft Sales, Manitowoc Wisconsin; call 920/726-5260, e-mail info@savageaircraftsales.com, or visit www.savageaircraftsales.com. 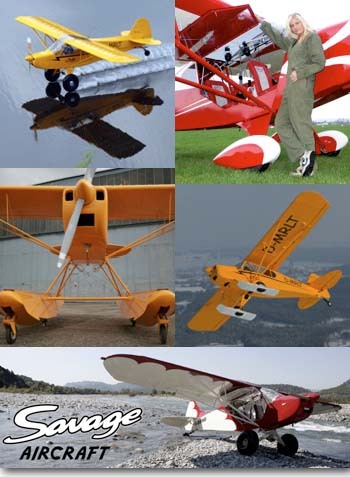 [UPDATED — May 2007: Savage Cub is now represented by Savage Aircraft Sales (www.savageaircraftsales.com) located at 6609 Northeim Road, Manitowoc WI 54220; or call (920)726-5260.] Is the concept of a renewed Cub a phenomenon that developed with the LSA rule? Actually, no. The Savage Cub has been in production since 1997. An Italian design team created the plane and first built the model in Italy. In 1999 production was taken over by Zlin Aviation S.R.O. in the Czech Republic, which has connections to Czech aviation pioneer, Moravan Aeroplanes, maker of the Zlin all-metal GA aircraft. [UPDATED — August 2007: Savage Aircraft Sales of Wisconsin took over from former distributor Bob West who used the name North American Sport Aviation. Savage Aircraft Sales is run by Julie & Keith Hartlaub. 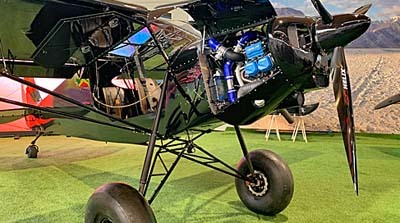 Savage earned S-LSA certification just prior to EAA AirVenture Oshkosh 2005 and is the only one of the three new Cubs to use Rotax powerplants, no surprise given the design’s origin in Europe where Austrian-based Rotax dominates the light aircraft engine market.